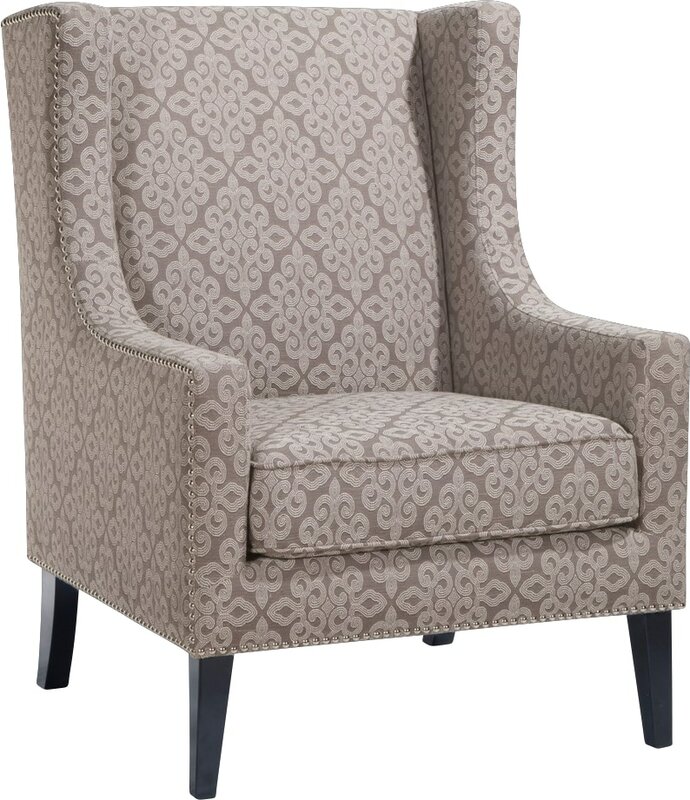 A wing back accent chair like the Addington is a classic chair. It combines a natural, lacework fabric with contrasting silver nailheads, giving this classic a modern update. Leg assembly required.